Florida State returns to the site of last years BCS Title game tom play the Oregon Ducks in the first College Football Play-off Semi-final game on January 1st. Gene gets the broadcast started at 3:00pm EST with this Scene Setter. Kick-Off from the Rose Bowl in Pasadena CA is at 5:00pm EST. The game will be televised by ABC Sports and can be heard on the Seminole IMG Radio Network. Check local listings in your era, or listen to streaming audio on www.seminoles.com or the FSU Game Day app. Get ready for some Seminole Football. Gene sets the scene for the IMG Seminole Radio Network, Pre-Game coverage begins at 6:00pm, and there kick-off is slated for 8:23pm. Check local listings for the station in your area. The game can be heard on the FSU Game Day App, and on www.seminoles.com. SiriusXM satellite will have the "home team" radio broadcast. It is the 59th meeting between Seminoles and Hurricanes. The 'Noles have won the last 4. It will be Gene's 440th broadcast of FSU football. His 37th FSU-Miami game. 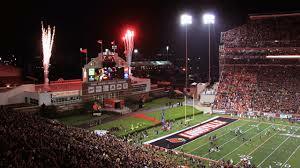 FSU v Louisville "Scene Setter"
FSU puts its' #2 ranking and the nations longest current win streak on the line Thursday night at Papa John Stadium against the Louisville Cardinals. Gene sets the scene for the Seminole IMG Radio Network broadcast that begins at 5:30, Kick-Off is slated for a little after 7:30. Depth Charts are posted ---click Game Day and download. This one has all the makings of another "Game of the Century". FSU v Notre Dame. Gene sets the scene for the Seminole IMG Radio Network. I'm pumped. The game will be broadcast over Flagship station 103.1 "The Wolf" in Tallahassee, and over the Seminole IMG Netrork. Check local listings in your area. You can also hear the game ---FSU broadcast-- on Sirius Satellite Radio Channel 91. IT will be streamed over www.seminoles.com and the FSU Game Day App. Terrell Buckley will be forever remembered. 1989, FSU @ Syracuse. The 70 yard punt return TD was the first of his career--- and the most memorable. It gave FSU a 27-3 lead, and helped the Noles end the Orange's 16 game home winning streak. FSU 41, Syracuse 10. Bobby Bowden gave him the nick-name "Foolah from Pascagoula" in his post game press conference. "T-Buck" is the current secondary coach at Louisville. We'll see tyne "Foolah" in a few weeks. Gene sets the scene for Saturday's game between Florida State and Syracuse. FSU leads the all time series 6-1, and has not lost since the first meeting in 1966. It will be the Noles third visit to the 35 year old Carrier Dome. Depth Charts are posted . Click "Game Day" and download. The IMG Seminole Radio Network broadcast begins at 10:00am, with kick-off at 12:00 Noon. The Syracuse(SU announcers) broadcast can be heard on Sirius Satellite Channel 84. No FSU fed this week. The game can be heard world wide on the FSU Game Dat App. Free. The NC State Wolfpack is the only team in the ACC and one of just 2 teams period to have multiple wins over a Jimbo Fisher Coached team. Previous ranked FSU teams have had problems in Raleigh. Gene sets the scene for this weekends trip to Carter-Finley Stadium. Depth Charts are posted --Click "Game Day"and download for free. Kick-off is at 3:30 with pre game coverage starting at 1:30. Check local listings for the station in your area. It's finally here. FSU and Clemson tangle for ACC supremacy on the final weekend of summer. Here is Gene's scene setter that will air on the Seminole IMG Network Saturday at 6:00pm. The game can also be heard on Sirius Channel 91, on www.seminoles.com, and will be televised on ABC. Depth Charts and Match-ups are posted. Click Game Day and download free. Gene sets the scene for Game Two---FSU v Citadel---on the Seminole IMG Radio Network. Are you ready for some Seminole Football? The game can be heard on the Seminole IMG Radio Network, Satellite Radio(Sirius 136m, XM 193) and on the IMG Seminole App. Be sure to download the app and listen anywhere---for free. Depth Charts and Match-Ups are posted. Click Game Day and download for free. This is Gene's scene setter that will begin radio coverage this Saturday night on the Seminole IMG Radio Network. Network coverage begins at 6:00pm, two hours before the scheduled kick-off of the AdvoCare Cowboys Classic. #1 Florida State is the highest ranked team to play in the 6 year old "Classic". FSU is making its' second appearance in Dallas---The Noles beat Texas A&M in the 1992 Cotton Bowl. Get ready for some Seminole Football. Go Noles! Depyh Charts are available by clicking "Game Day"
It will be the 58th meeting between Seminoles and Gators this Saturday afternoon. Ben Hill Griffin Stadium seats 88,548. And a lot of the fans in the stadium Saturday will be wearing Garnet and Gold, as 2nd Ranked FSU tries to tie a school record with its' 12th win over the season, and keep its hope of playing in the BCS National Championship game in January. While FSU is 15-11-1 since 1987 in the series that dates to 1958, the Noles have had tough times in Gainesville(8-23-1). UF leads the all time series 34-21-2. Gene sets the scene for the Sunshine State Showdown. Coverage of the game on the Seminole IMG Radio Network begins at 10:00am. Satellite Radio will carry the UF Radio Network Sorry! 24 Seniors---15 scholarship athletes---will be honored with their families Saturday before the FSU-Idaho game. Gene sets the scene for the Seminole IMG Radio Network. The Pre Game Tailgate Show begins at 1:30, and "toe hits leather" at 3:35. 2nd Ranked Florida State faces new ACC Atlantic Division rival Syracuse in its 67th Homecoming Game. The kick-off at Doak Campbell Stadium is a little after 3:30. The network consists of over 30 stations in Florida. Check local listings for the station in your area. Gene sets the scene for the Seminole IMG Radio Network broadcast with this "scene setter". Are you ready for some Seminole Football?!!!! The game can also be heard on Sirius XM Channel 85, and via www.seminoles.com "Total Access". #3 FSU---#2 in the BCS Rankings---can clinch the Atlantic Division Title with a win Saturday in Winston-Salem. With a win, FSU will get a ticket to the ACC Championship game in Charlotte on December 7---for the 3rd time in the 4 years Jimbo Fisher has been the head coach. Kick-off is at 12:00 noon, and the game can be heard on the Seminole IMG Radio Network. Pre game coverage begins at 10:00am. Here is Gens's "Scene Setter fr the game with the Deacons. ABCTV is delivering the game to a national audience. The radio broadcast will be "streamed" via www.seminoles,com. FSU and Miami tangle again for the 58th time. And in this huge rivalry the team that scores first usually wins. And the team that runs the ball best has dominated the series. The Hurricanes have a slight 31-26 advantage in the series that started in 1951. FSU has won the last 3 meetings and 6 of the last 8. It is FSU's oldest rivalry. Here is Gene's "Scene Setter" that will start the Seminole IMG Radio Networks coverage of the big game two hours before kick-off. The game can be heard on the 30+ station Seminole IMG Radio Network in Florida, and on Sirius Satellite Radio Channel 91. The audio is also streamed world wide on the web via www.seminoles.com. Saturday is Bobby Bowden Day at Florida State, and this weeks Scene Setter for the FSU-NC State game welcomes Bobby back, and throws in a little history too. Seminole IMG Network coverage of the game begins at 1:30.Check local radio listings for the station in your area. The game will also be broadcast live via satellite on SiriusXM Radio---Sirius 111, XM 198. And the game will be streamed on "Total Access" @ www.seminoles,com. Kick-Off on ABC is slated for 3:30. Go Noles and Welcome Back Bobby!!!!! Note: The photo was taken during a Bobby Bowden Call-In Show in 2009. Hall of Fame NFL Coach Don Shula visited Bobby's show at the University Center Club. Is this a classic photo, or what? Heres a great way to celebrate Bobby Bowden Day this weekend. This is the chorus to the Ballad of Bobby Bowden that was released in either 1979 or 1980. And I am unsure who wrote the song and/or who performed it. Ldet's see how many "Tail-Gate" parties can loop this song Saturday on their audio players. Let's give Bobby Bowden a huge welcome back. It just would not be FSU_Clemson Week, without a trip down "Memory Lane". The late Beano Cook called it thre Z"greatest play since My Fair Lady". I agree. In 1988, legendary head coach Bobby Bowden dialed-up the "Puntrooski". It worked. FSU defeated 3rd Ranked Clemson 24-21. While LeRoy Butler did not score on the play, kicker Richie Andrews drilled the game winning FG four plays later. Seminole IMG Network coverage begins at 6:00pm Saturday. SiriusXM coverage will have both the Clemson Radio Network play-by-play on SiriusXM 91 and FSU Seminole IMG play-by-play on Sirius 85. Maryland is the most improved team in the ACC i 2013. After losing their four top quarterbacks, and finishing last year 4-8. In 2013 the Terrapins are 4-0 and cracked the AP Top 25 this week. The Terrapins are 2nd to FSU in Total Offense in the ACC, but rank Tops in Scoring Defense. The Terps allow just 10.3 points a game---3rd in the FBS. FSU's Jameis Winston and Maryland's C.J. Brown are ranked 1 and 2 in the ACC QB rankings. Maryland's aggressive defense has recorded 17 sacks and rank Tops in the ACC and 2nd in the nation in QB take-downs. Depth Charts and Match-Ups are posted---click "Game Day". Also get ready for the game with Gene's "Scene Setter---click Audio Files"
The game can be heard on the30+ Seminole IMG Radio Network(airtime 10:00am) as well as SiriusXM Satellite Radio Channel 91. 8th Ranked Florida State begins a string of seven straight ACC games this Saturday at Boston College. Odds-Makers have the 'Noles favored by three touchdowns. Here is Gene's Scene Setter for the Seminole IMG Network brodcast that begins at 1:30---two hours before kick-off. Depth Charts for the game are posted. Click Game Day and enjoy. Photo is of a sold-out Alumni Stadium. Should be sold out Saturday. Both FSU and BC are 1-0 in ACC play. Gene sets the scene for this weeks game against Bethune Cookman University. This will get you ready for some more Seminole Football. Depth Charts and Match-Ups are posted. Just click Game Day or Schedule and download for free. These are the same charts that we use during the broadcast. The game can be heard on more than 30 stations on the Seminole IMG Radio Network, as well as on satellite radio , and www.seminoles.com(must have Total Access subscription). Sirius Channel 112; XM Channel 190. The 9th Ranked Seminoles take on the Nevada Wolfpack in the 2013 Home Opener Saturday at 3:30. Gene sets the scene for the Seminole IMG Network broadcast. This will be Gene's 418th play-by-play broadcast of Seminole Football. Check out that Touchdown FSU counter! Gene's "Scene Setter" for Monday NIght's broadcast over the Seminole IMG Radio Network. Over the last 53 weeks, FSU Senior Guard Michael Snaer has delivered an incredible number of "buzzer beating" game winning shots for Florida State. Four to be exact. @ Duke, and against VaTech, Clemson and Maryland. The most recent two coming just 6 days apart this year. Here is a montage of the buzzer beaters, plus one from teammate Ian Miller delivered at Virginia last year. Does it get any better? Go Noles! Jimmy Jordan and Wally Woodham led the Noles to a 31-3 win over the Sun Devils on a rainy night in Tampa. Ron Simmons dominated the ASU line. It was my first road game broadcast on the Seminole Radio Network, Note---Color Analyst on the clip was former Head Coach Bill Peterson. This nugget: Arizona State refused to play FSU in Tallahassee. FSU signed a three game contract and played two games in Tempe---won both of them too! Enjoy the play-by-play clip, and Go Noles! That was 33 years ago. Had to do it! Best play since My Fair Lady. LeRoy Butler's famous run in Death Valley that set up Florida States 24-21 win over #3 Ranked Clemson. Here's the latest sales promotion at tallahassee Dodge Chrysler Jeep. Great deals. Gene's latest radio commercial for long time client in Tallahassee. FSU didn't need a "buzzer beater from MIcahel Snaer on Sunday to beat Clemson. But his career high 23 points certainly helped lift the Seminoles over Clemson 80-72. With 5:25 left in the game, the junior from Moreno Valley CA made his fifth 3-point shot of the day, and became the 42nd player in FSU history to join the exclusive "1,000 Point Club". FSU Beats Virginia With Another Buzzer Beater! First it was Michael Snaer beating Duke with 2.6 seconds left at Cameron. Then Snaer again, breaking Hokie hearts in Tallahassee with another buzzer beating triple to knock off Va Tech. Thursday night it was "Miller Time". With time running out, Sophomore Ian Miller launched a contested three point shot from the right wing and got nothing but the bottom of the net to cap an amazing 11 point come-back in the closing 4:10, and despite the ejection of top big man Bernard James. Listen and enjoy. Get ready for more Seminole Hoops. Senior Day is Sunday. FSU v Clemson at High Noon. Michael Snaer's buzzer beater stunned the Cameron Crazies in January. Will it take more last second heroics to sweep the Blue Devils Thursday night at the Tucker Center? We'll see. While Seminole wins are rare in Durham--the 76-73 upset was just the 2nd win ever by the Noles at Cameron indoor Stadium----FSU and Duke have split the last 8 at the Tucker Center . Here is Gene's call of one of the most memorable upsets in Seminole history. Two great names in college football collide in the Champs Sports Bowl, THursday , December 29. 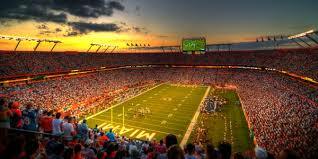 The game will kick-off at 5:30 in Florida Citrus Bowl Stadium in Orlando. Here is Gene's "Scene Setter" that will begin the Seminole IMG Network broadcast at 3:30. It features Danny Kannell's game winning TD pass to Andre Cooper in the 1996 Orange Bowl. Enjoy. Merry Christmas and a Happy New Year in 2012. Remember Chris Rix to PK Sam? Here it is again. Gene's Scene Setter for Saturday's broadcast features the classic Seminole finish at Griffin Stadium. Download for free. Enjoy. Go Noles! Get ready for some Homecoming Football---Seminole style. Gene's scene setter that will begin Saturday's Seminole IMG Broadcast at 5:30pm, features a pick-six by Tony Carter on the third play of the game in Tallahassee in 2006. Gene goes back to 1993 again this week to find the game clinching call of the Seminoles 28-10 win over 3rd ranked Miami. Devin Bush seals the win with a late "Pick-Six"
Download and listen for free. The Scene Setter begins Saturday's broadcast from Doak Campbell Stadium at Bobby Bowden Field. The broadcast begins two hours before kick-off at 1:30 Saturday afternoon. here's Gene's Scene Setter that will; begin Thursday nights broadcast of the FSU-BC Game on the Seminole IMG Radio Network. 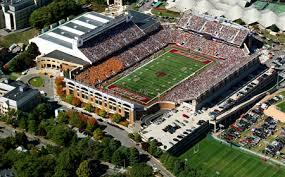 This week's "hi-lite cllp" is from the Noles upset of then #2 Ranked Boston College in 2007. It features Geno Hayes' "Pick-Six" that sealed the victory for FSU late in the fourth quarter. Broadcast time on the Seminole IMG Radio Network is 6:00pm. Kick-Off is a little past 8:00. Sirius XM Satellite Rdio will carry the home team(Boston College) broadcast. Depth Charts are posted and available for free downloading. Enjoy! Gene goes back to 1993 to set the scene for this Saturday's game between FSU and North Carolina State. The hi-light clip is from Florida State's 62-3 win over the Wolfpack. William "Bar None" Floyd takes center stage when he bowls over Pack defenders late in the 2nd quarter. You can hear "Bar None" on all Seminole IMG Broadcasts of FSU football. The FSU-NC State game will be broadcast on the Seminole IMG Network (check local listings in your city), and on SiriusXM Satellite Radio---XM 190, Sirius 128. Here is the Scene Setter for this weeks Seminole IMG Network broadcast. The "play-by-play" high light is Lonnie Pryor's game winning TD in the closing minute against the Terrapins in 2009. The scene setter begins the network broadcast at 1:30 this Saturday. Check local radio listings in your area. The FSU (Home) broadcast will also be carried via SiriusXM Satellite Radio--XM 190, and Sirius 128. FSU has never lost to Duke. THe all time series is in favor of the Noles 16-0. FSU is 6-0 in Wallace Wade Stadium, site of Saturday's showdown with the Blue Devils. This weeks scene setter for the Seminole IMG Radio Network features Derrick Brooks returning a pass interception for a touchdown during the Seminoles very first game in Durham. THe scene setter begins Saturday's broadcast day at 1:00 o'clock EDT. Check listings for the station that carries the broadcast in your area. Here's Gene's Scene Setter that will begin Saturday's broadcast. The high-lite is from the Noles last visit to Groves Stadium. Then, red shirt freshman QB EJ Manuel made his first start and engineered a 41-28 victory on the road. Dustin Hopkins 55 yard game winning field goal that beat Clemson 16-13 last year is the longest “walk-off” FG in ACC history. I picked that high-lite for this weeks “Scene Setter” that wil air on the Seminole IMG College Radio Network Saturday at 1:30. It sounds just as good today as it did a year ago. FSU opens ACC play against Clemson. The two teams were picked 1 and 2 in the pre-season voting by media to win the Atlantic Division. Clemson looked mighty good a week ago, knocking off defending National Champion Auburn and ending thje nations longest D-1 winning streak at 17 in a row. FSU is limping ino “Death Valley” with a whole lot of injury “question marks”. Key positions, including wide receiver and quarterback are listed as “Questionable and “Day to Day”. FSU leads series 17-7, but has not won in Clemson since 2001. Here is this weeks Scene Setter that will air on the FSU Seminole Network from IMG this Saturday evening at 6:00pm. It features EJ Manuel's TD pass to Taiwan Easterling at Oklahoma a year ago---actually 53 weeks. The game can be heard on the Seminole IMG Radio Network. Pre Game coverage begins with the Scene Setter at 6:00pm EDT, The broadcast can also be heard on SiriusXM Satellite on channel 91. Gene gets you ready for more Seminole Football. 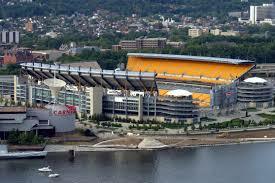 This scene setter begins Saturday evening's game with the Buccaneers. Grab something cold to drink and get ready for some Seminole Football. The scene setter features last week's initial TD of the season. Listen to the Seminole Radio Network for all the pre-game info you'll need, starting at 4:00pm. FSU Flagship Station is 94.9 FM WTNT. Gene sets the scene for the first bowl game of the Jimbo Fisher era with a look back to last years Gator Bowl. The clip features Jermaine Thomas' TD run that gave the Noles the lead for good in the final game of the Bobby Bowden era. Happy New Year. Go Noles! Florida State battles Virginia Tech Saturday in Charlotte for the Atlantic Coast Conference Championship. Gene's "Scene Setter" for the ISP Seminole Network features the biggest play from the 2005 title game---Willie Reid's punt return TD. Check it out. Download the .mp3 file for free, and enjoy. Then grab something cold to drink and get ready for some Seminole Football! IN this weeks Scene Setter, Gene pulls a play-by-play clip from FSU's 52-17 win over UF in 1988. Odell Haggins---now the Seminoles Defensive Line Coach-- takes an interception to the house. The mp3 file runs 2:25. Download it for free. Here is Gene's Scene Setter for this weeks game in Maryland. Both the Noles and the Terps need a win to stay alive in the ACC -Atlantic Division race. Gene uses the "Instant Classic" 55 yard field goal by Dustin Hopkins that beat Clemson last week. The mp3 file runs 2:10. Depth Charts and Match-Ups are posted . Down load for free. Click "Game Day"
Gene sets the scene for Florida State's Homecoming clash with North Carolina. The audio clip has last years 98 yard TD pass from Christian Ponder to Rod Owens. I still think it was 99 yards, but , oh well! This will get you ready for Saturdays game. Seminole Network coverage begins at 12:30 EDT. Check www.seminoles.com for station in your area. Also the game will be heard nationwide on Sirius/XM Satelllite Radio--XM 191, Sirius 213(coverage begins at 3:30). Here's Genes Scene Setter for the FSU-NC State Game. Coverage on the Seminole ISP Network begins at 5:30. Check listings in your area, or go to www.seminoles.com for station in your area. The high-light features Bert Reed's game winning TD run in last years FSU-Wolfpack clash. Reed has scored "game winners" in the last two games with NC State. Depth Charts and Match-Ups have been posted. Download for free. Click "Game Day"
Gene sets the scene for Saturday's game with the Eagles. The highlight on this "Scene-Setter" is from last weeks game against Miami. Sophomore RB Chris Thompson romps 90 yards on the longest rushing TD ever surrendered by a Hurricane team. The mp3 is 2 minutes and 25 second long. Download for free. Depth Charts are posted and available for free downloading. Click "Game Day"
Listen to the FSU-BC game on the ISP Seminole Sports Network and on XM Satellite Channel 190, and Sirius Channel 212. The Noles and Hurricanes game will be televised for the 27th consecutive season, and this Saturday the Seminoles oldest rivalr game will be in "Prime Time". 13th Ranked Miami is a slight home favorite to beat 23rd ranked FSU. Gene sets the scene by grabbing an audio clip from the final play of the FSU-Miami game in 2008---won by the Noles 41-39. The mp3 file runs 2:24. Download for free and enjoy. Depth Charts are posted. Click Game Day and download. Gene sets the scene for Saturday's clash with the Wahoos. The mp3 file runs 2:16, and features Travis Minor's 87 yard TD run on the games first play. Download for free. Depth charts are posted. Click "Game Day" and download. Gene sets the scene for Saturday's game against Wake Forest. FSU has not won an ACC opener since 2006, but they are heavy favorites to do so this season. The "Scene Setter" will air on the Seminole ISP Sports Network at 1:30 and begin pre game coverage of the game. Check local listings for stations in your area. The game will also be carried on Sirius Satellite Radio Channel 212, and XM Satellite Radio channel 190. The game will be televised regionally by ABC. Depth Charts and Match-Ups are posted. Download for free by clicking "Game Day"
Here is Gene's "Scene Setter " for Saturday's FSU-BYU game. The Scene Setter begins the weekends Seminole ISP Radio Network coverage of the game and will air at 1:30pm, two hours before kick-off. The Scene Setter features Greg Reid's interception return TD against the Cougars a year ago. This mp3 file runs 2:11. Depth Charts and Match-Ups are available for free downloading. Get ready for some Seminole Football. Here's the Scene Setter Gene produced for ISP Sports and the Seminole Radio Network. The Scene Setter has a clip featuring Greg Reid's punt return TD last week. Big plays galore hi-lighted the Seminoles win over Samford. What a way to start the Jimbo Fisher Era. Here are Gene's favorite Plays of the Game. Jimbo Fisher begins his first season as Head Coaoch of the Florida State Seminoles. Ironically, his first game as the Tp Seminole is against a team that he played for during his college career--Samford. To add further irony, Samford is where he began his coaching career for then Bulldogs head coach Terry Bowden. And it is the alma mater of legendary FSU head caoch Bobby Bowden, whom Jimbo is following as the head coach. Are you ready for some Seminole Football. Download the mp3 file for free. It is 2:00 minutes in length. Depth Charts and Match-Ups are being posted as well. Beano Cook called it the Geatest play since My Fair Lady. The "Puntrooski" will always be a part of Seminole lore. And it was the play that defined the Bobby Bowden Era. It's only appropriate that the "rooski" play that beat Clemson in 1988 starts Fridays broadcast of the 65th Gator Bowl---Bobby Bowden's final game as Head Coach at FSU. Depth Charts and Match-Ups are available for downloading also. Go Noles! Bye Bobby! Beat WVU! Florida had all but wrapped up a huge win in Tallahassee. But Bobby Bowden's Seminoles had the last word. Trailing 31-3 in the 4th quarter, the Seminoles came roaring back, and accomplished the almost unthinkable. FSU scored an NCAA record 28 points to come from behind and tie the Gators. Rock Preston scored the tying touchdown with less than 2 minutes left. This has always been one of my "signature" calls. And a touchdown that will never be forgotten by Seminole fans. Depth Charts and Match-Ups for the Gator Bowl will be posted next week before the game. Download for free and enjoy. Bye Bye Bobby ~ Good Bye! We'll never forget. Go Noles! In 2003 Florida State got the last laugh when they beat the Gators in the last minutes on a pass from Chris Rix to P.K. Sam. Earlier in that game, Safety Pat Watkins had a defensive scoop and score. It will take that and more for the Noles to prevail in Gainesville Saturday. Here's Gene's Scene Setter that will be heard on the Seminole ISP Network Saturday. The .mp3 file runs 2:00. Download for free. FSU will wear new uniforms and helmets provided by Nike for Saturday's showdown with Maryland. Gene sets the scene with a clip from last years upset win in Maryland. The scene setter runs 1:55. Download for free. Depth Charts and the Match-Up analysis are available for free downloading. Click "Game Day". Hear the Noles broadcast on the Seminole ISP Radio Network, or on XM Satellite Radio Channel 191. Hard to believe it has been four years since FSU beat Wake Forest. The Deacons are trying to knock off FSU for the fourth time in a row. Xavier Bethia kicked the game winner in 2004 at Groves Stadium. That was the last Seminole win over the pesky Deacons. Here's a clip from that game along with Gene's Scene Setter for the Seminole ISP Sports Network broadcast that will air Saturday at 10:00am. Depth Charts and Match-Ups are available for free downloading. Click "Game Day"
Gene remembers the first ever meeting between father and son in a college football game with this weeks opening Scene Setter for the Seminole ISP Sports Network Broadcast of the FSU-Clemson Game. The clip runs 1:55 and features Sebastian Janikowski's game winning field goal. Get ready for some Seminole Football. Depth Charts and Match-Ups are ready for downloading. No charge. Go Noles! Are you ready for some football. It’s been two weeks since FSU played a home game at Bobby Bowden Field at Doak Campbell Stadium. Saturday it’s Home Coming and Trick or Treat all wrapped up into one big dose of Seminole Football. At 12:00 Noon , FSU tangles with NC State. The Noles are 50-10-1 in Homecoming Games all time, and Bobby Bowden sports a 31-2 record in front of the old grads and alumni and Homecoming Courts. Gene sets the scene with a memorable moment from the 1999 clash with the Wolfpack. It runs 1:50 with a play-play clip featuring Abdul Howard’s interception return for a TD. Down load for free and get ready for some football. Depth Charts for FSU-NCSU are posted and can be downloaded at no cost. Check out the “Match-Up” as well. Just Click “Game Day”. It will be the first Thursday Night game ever played at Kenan Stadium, and you know the place will be rocking. The energy in the crowd just might match the 1997 clash between thse two teams that featured #2 vs. #5. Here's the Scene Setter that will be broadcast on the Seminole ISP Sports Network Thursday night. Gene pulled a "big play" from that 1997 showdown, billed as the Biggest Football Game in ACC History". Gene's Scene Setter for FSU-Georgia Tech. This will get you ready for some Seminole Football. Gene sets the scene with an audio clip from FSU's 28-17 win over Boston College in 2005. Mp3 file runs 1:40. Here is Gene’s “Scene Setter” that can be heard Saturday on the Seminole ISP Sports Network. Check www.seminoles.com for a list of stations in your area that carry FSU Football. The game will also be carried on XM Satellite 190 and Sirius 212. The mp3 file runs 1:46. Down Load for Free. Depth Charts and Match-Ups are available for free too. Click "Game Day". Here is this weeks "Scene Setter" for the Seminole ISP Radio Network. Gene went back into the archives to find a clip from Florida State's first meeting with the Cougars in the 1991 Pig Skin Classic. How about Casey Weldon to Edgar Bennett. The Scene Setter runs 1:46. Grab something "cold to drink" and get ready for some Seminole Football. Broadcast time on the Seminole ISP Radio Network is 5:00 pm EDT. To find a station in your area go to www.seminoles.com. Senior forward Uche Echefu celebrated his 23rd birthday with a spectacular performance Tuesday night. His 17 points and 6 rebounds sparked the Seminoles to a 68-57 win over Virginia. Who says you need to light candles on a cake and sing “Happy Birthday”. String music sounds better! Here’s Uche’s Big Night. Now we can blow out the candles, cause the party is over. Happy Birthday Uche! The mp3 runs 1:18. Download for free. Listen to the next Seminole ISP Network broadcast Saturday February 14 when the Noles play at Wake Forest. Tip of is at 4:00. The Pre Game Show with Leonard Hamilton begins at 3:30. Wear Black and make noise. That's what Bobby Bowden is hoping for. His team needs ssome help to win the Atlantic Division in the ACC---and of course his Noles to win their two remaining conference games. Here is Gene's scene setter that will air on Saturday at 6:00pm on the ISP Seminole Sports Network. Down load for free, It runs 3:54. Depth Charts and Match-Ups are posted. Download and get ready for the game. Coach Bobby Bowden turned 79 years "young" Saturday, and his teams gave him a special birthday present--a 41-27 win over Clemson. After Antone Smith scored the the decisive touchdown with less than 2 minutes left , the Marching Chiefs led 77,000 fans and a pair of announcers in singing "Happy Birthday" to the head coach. Listen and sing along. Go Noles! Gene sets the scene for Saturday's showdown between Seminoles and Tigers, The scene setter airs on the Seminole ISP Sports Network beginning at 1:30. Free down load. Depth charts and match-ups are available now. Download for free by clicking "Game Day? Gene reached a pair of milestones over the past weekend. In Saturday’s FSU-Georgia Tech game he called his 1,500th Touchdown for Florida State. The call came with 8:05 left in the second quarter when Christian Ponder hit fullback Seddrick Holloway with a 4 yard TD pass. Gene has been the “Voice of the Seminoles” since 1979. On Sunday in Kansas City, Gene called his 600th Touchdown for the Tampa Bay Buccaneers. And what a play it was. Rookie returner Clifton Smith weaved his way 97 yards on a kick-off return to cut the Chiefs lead to 14. Jon Gruden credited that return as the “jump start” his team needed to come from behind and win in overtime 30-27. Gene has been the “Voice of the Buccaneers” since 1989. Listen to these “milestones” for free. Free download. Enjoy the calls. Enjoy the memories. Go Noles! Go Bucs! Gene gets you ready for Saturdays game in Atlanta. In this scene setter that will be heard on the Seminole ISP Sports Network at 1:30 Saturday, Gene pulls a play from 1992. Charlie Ward completes a miracle come from behind win with a TD throw to Kez McCorvey. The mp3 file runs 3:50. Dowonload for free and enjoy. Go Noles! Here is this weeks ":scene setter". It will air on the Seminole ISP Sports Network Saturday. Get ready for some Seminole Football. The mp3 file runs 3:18. Download for free. The Hokies have never defeated FSU in Tallahassee. Lets keep it that way. 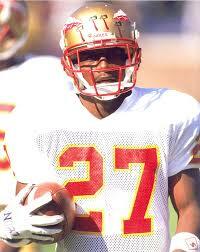 Hear Gene and William Floyd on the Seminole ISP Sports Network. Check www.isp.com for station listings. Coverage begins Saturday at 1:30. The game can also be heard on XM Satellite Radio(Channel 193) and Sirius Satellite Radio(Channel 214). www.seminoles.com will stream the live audio as well. They are called splash plays. The NOles had a few against the Buffaloes. This will get you pumped up for Miami. Depth Chasrts are available for free. Click "Game Day" and download, and get ready for FSU-Miami. Gene gets you ready for this weeks FSU-Miami game. Chris Weinke to Snoop Minnis TD pass in 1998 win in Orange Bowl is this weeks hi-lite, The Scedne Setter runs about 3:30. The game will be broadcast on the Seminoles ISP Sposrts Network. Coverage begins at 1:30. Depth Charts are posted, Click "Game Day" and download for free. Listen to exciting Florida State Basketball. The Noles clipped BC 66-63 Saturday in a "High Noon Thriller". The mp3 clip runs :46" and features a couple of plays by Freshman Julian Vaughn. Here all the action on the Seminole ISP Sports Network with Gene and Keith Jones. Down 10 points with less than eight minutes to go, FSU rallies behind guards Toney Douglas and Isiah Swan to beat the Cavaliers. Here's 1:22 of exciting Seminole Play-by-Play from Gene. This will gert you pumped for more "red-hot hoops"!!! FSU next plays NC State on Saturday(1/26/08) at 1:30. The game can be heard on most Seminole ISP Sports Network stations. It can also be heard on XM Satellite Radio---Channel 191. Depth Charts and Match-Up stuff is posted here on the web site. Click "Game Day" and download all you need to follow the action when you listen to Gene and Keith. Florida State wins for the first time at Cameron Indoor Stadium. And it took overtime to do it. Here is the final miute described by Gene. This will get you ready for the FSU-Duke Game tonight at the Donald Tucker Center. Tip is at 7:00pm. Depth Charts and Match-Up info is available now for down-loading. It's free. Click "Game Day". Get ready for some Seminole Roundball!!! Gene sets the scene for the Seminole ISP Sports Network. This scene setter runs 3:32, and has a play-by-play clip from last years's Emerald Bowl. Depth charts and match-ups are available for downloading free. Gene sets the scene for Saturdays tilt with the Terps! This scene setter will begin Saturday's broadcast on the Seminole ISP Sports Network. The broadcast starts at 10:00am Saturday, with kick-off slated for around 12:07. The scene setter has a clip of Chris Weinke throwing a TD against Maryland in 2000. 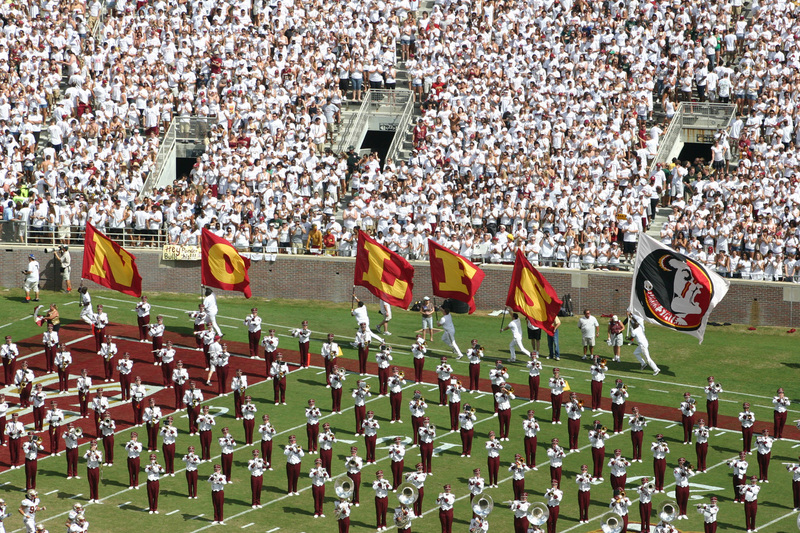 The game can also be heard on Seminoles.com(fee applies), and XM Satellite Radio Channel 190. Depth Charts and Match-Ups are available for free downloading. Click Game-Day, and Enjoy. Get ready for some football, Seminole style! Go Noles!! FSU has won 11 in a row at the expense of the Hokies. Bobby Bowden coached teams have won 15 straight over the Orange and Maroon. Gene sets the scene with a look back to when his radio booth side kick P.T. Willis bested Tech 41-17 in 1989. This scene setter will begin the Seminole ISP Sports Network boroadcast day in Blacksburg. Download it for free and enjoy. Depth Charts and Match-up Notes are available free as well. Click Game Day and download. FSU tries to upset #2 ranked Boston College Saturday. Gene sets the scene for the Seminole ISP Sports Network. This mp3 file will begin Saturdays broadcast at 6:00pm. This scene setter will get you ready for Seminole Football. It runs 3:28. No Charge. Enjoy. You can hear the game on the Seminole ISP Nework, via XM Satellite Radio(Channels 190/140), or by streaming audio at www.seminoles.com. Match-Ups and Depth Charts for both FSU and BC are now available for free. Just click Gameday and down-load. With a Homecoming Theme of 007 Garnet and Gold Encounters, the big campus weekend concludes with the FSU-Duke football game at Bobby Bowden Field at Doak Campbell Stadium. In a salute to the Seminole Tribe of Florida, Florida State will wear Black Uniforms for the game. Here is Gene's scene setter that will kick-off The Seminole ISP Network broadcast on Saturday. The game can be heard on the Seminole ISP Sports Network, XM Satellite Radio(Channel 190) and www.seminoles.com. The coverage begins at 6:00pm. Kick-off is slated for a little after 8:00pm. FSU Beats Colorado: Two Big Plays Do It! Tony Carter's INterception sparksa Seminole scoring drive capped by "The Deuce". The score came early in the second quarter, and was the first time the Noles had scored first this season. Here are my favorite two "calls" of the game. What was yours? Game time for the next FSU game(against Alabama) will be announced Sunday. Here are my two favorite plays from Saturday's win over UAB. Listen to the crowd cheer on the home team. Drew Weatherford hits Richard Goodman for six, and Roger Williams has the perfect defensive quinella. Enjoy. You can hear all the excitement of Seminole Football every week on the ISP Seminole Sports Network. Swann and Thornton got the Noles close, but Tech held off the home team 63-57. This high-lites mp3 runs 1:03. It is a free download. Enjoy. Go Noles! 1:30 on the Seminole Radio Network. Enjoy! Go Noles! FSU hit a season high 61.7% of its floor shots, and rolled to it's fourth consecutive home victory Tuesday night over Maryland. The Noles broke open a close game with a 16-5 run to start the second half, and rolled to an impressive 96-79 win over the Terrapins. How exciting was it? Just listen to Gene's play-by-Play call. The Download is free. It runs 41 seconds. FSU had to battle from behind to knock-off upset minded Wake Forest Saturday afternoon. Al Thornton kept the ‘Noles close with his 13th career “Double-Double”, but guards Toney Douglas, Jason Rich, and Isaiah Swann slammed the door on the Deacons. Swann’s three point bulls-eye gave FSU its longest lead of the day to that point in the game(:47” left). Like I said, “That’s the dagger!” FSU won 74-66. Go Noles! The .mp3 file runs a minute and twelve seconds. Next Broadcast is Tuesday , January 30. FSU plays Maryland in a crucial ACC tilt at the half-way point of the season. Tip Off is at 8:00pm. Seminole Radio Network. Depth charts are posted, and are free to download. Florida State wrapped up the 2006 season with a thrilling 44-27 win over UCLA in the Emerald Bowl. The underdog Seminoles had to come from behind twice in the second half to upset the favored and 13th ranked Bruins. The "Six Pack + 1" high-lites package is available now in the Goodies Store for just 2.99. Here's just a taste of the exciting Seminole win. The “Six Pack + 1” .mp3 audio file contains 1) Buster Davis forcing a fumble at the UCLA 25 yard line in the first quarter; 2)Lorenzo Booker’s 25 yard TD one play after the Bruin fumble; 3)Gary Cismesia’s 39yard FG to tie the game at 10-10; 4)Dekota Watson’s blocked punt that is returned for a TD by Lawrence Timmons; 5) Drew Weatherford hits Gregg Carr with the go ahead TD in the 4th quarter; 6) Tony Carter sets Emerald Bowl interception return record with 86 yard TD return to slam the door shut on UCLA. Go Noles! Enjoy! How ‘bout them ‘Noles! This weeks “Six Pack + 1” features exciting plays from the FSU 33-0 win over Virginia. Tthis is a sample---Greg Carr makes big catch to set up a fourth quarter TD. Tony Carter intercepts Jameel Sewell and returns it 35 yards for games first TD;Sack Leader Lawrence Timmons gets one of 6 sacks by the Noles;Eli Charles blocks a Ryan Weigand punt at the 1 yard line; Lorenzo Booker scores his 11th career rushing TD; Gary Cismesia boots a 44 yard FG;Buster Davis sacks Sewell in end zone for a safety;Chris Lee hits Chris Davis with 37 yard TD pass; and Antone Smith barrels in for a 3 yard TD run---his 5th of the season and his 8th career score. The mp3 file runs 1:40. Wallace Wade Stadium. Winless Duke. Just what the doctor ordered. For the fifteenth time since joining the ACC, Florida State beats Duke. And for the eleventh time, the Noles hang 50 or more points on the Dukies! 51-24. Nice job men. FSU improves to 4-2, 2-2 ACC at the half way point in the season. Here is this weeks “Six Pack + One” Hi-Lites Package. It includes a Lawrence Timmons fumble return for a TD, four Drew Weatherford touchdown passes---three caught by Greg Carr. It also includes the longest TD run of the season---80 yards by Antone Smith, and Xavier Lee’s first TD pass of the year, a 14 yard strike on 4th down to freshman Damon McDaniel. The "Six Pack + One" hi-lites package is available now at the Goodies Store.The mp3 file runs 1:49 and costs just $2.99. Go Noles! NC State invited FSU into its Field of Screams, and under a howling full moon, proceeded to filet the Noles 24-20. The loss knocked FSU out of the national rankings, and probably out of the ACC Title chase. Here is this weeks “Six Pack + One” Hi-Lites Package. It includes two Gary Cismesia Field Goals, a Drew Weatherford pass completion to Lorenzo Booker, a punt return by Freshman Patrick Robinson,, a Drew to Chris Davis TD , a marvelous goal line stand, and Brandon Warren’s first career TD catch. Here's a sample of the action--3rd and Goal, at the Seminole 3. The "Six Pack + One" Hi-lites package is available now at the Goodies Store.The mp3 file runs 2:41 and costs just $2.99. Go Noles! 17th Ranked Florida State took Rice out to the woodshed, and took out their frustrations from a loss to Clemson with a 55-7 whipping. It was great seeing the “old swagger” back. This weeks “Six Pack + One” Hi-Lites Package includes a touchdown run by Joe Surratt, Antone Smith’s first TD of the season, a 53 yard Field Goal by Gary Cismesia---the 4th longest in FSU history, Drew Weatherford and Xavier Lee TD passes to Greg Carr and another TD gallop by “Deuce” Smith. Here’s a sample of the exciting calls---Marcus Ball makes his first career interception. The "Six Pack + One" hi-lites package is available now at the Goodies Store.The mp3 file runs 1:22 and costs just $2.99. Enjoy. Go Noles! With the game tied at 20-20, Clemson appeared to fumble the ball inside the 10 yard line. Referee jack Childress ruled that FSU had recovered the ball, but the Instant Replay Official in the booth over-ruled the decision, and Clemson avoided a huge turnover. Florida State apparently never recoevered, as Clemson was able to score on their next possession and upset FSU 27-20. Here's Referee Jack Childress' call. The complete Six Pack + 1 will be available soon in the "Goodies Store" for $1.99. 5) Joe Surratt scores TD from 1 yard out. 9th Ranked Florida State dodged a Trojan Horse and avoided an upset by Troy University in week two. It took stellar special tyeams play, and outstanding defense to prevent a "nightmare on Stadium Drive. Here is the games final big play. An interception by Geno Hayes to preserve a 24-17 win. The "Six Pack + One" Hi-lites package is available now iat the Goodies Store.The mp3 file runs 1:43 and costs just $1.99. Go Noles! The biggest defensive series of Monday nights game at Miami took place late in the second quarter. After Drew Weatherford threw an interception the Canes took over at the Florida State 31 yard line. Miami had scored 10 points on their previous two possessions and had taken field position and momentum away from the Seminoles. This would have been the “dagger-series”. A field goal, let alone a touchdown could have been the Hurricane “kill shot”. FSU’s defense dug-in. On first down, a “jail-break blitz” by FSU forced Miami Tight End Greg Olsen to hold. Ten yard penalty moves the ball back to the UM 41. On first down and twenty, Kyle Wright throws underneath the Seminole zone for 7 yards. On second down Wright is flushed out of the pocket and scrambles for one yard under a whole lot of pressure. Then on third down and 12, Lawrence Timmons bulls into the back field and sacks Wright for a two yard loss taking Miami out of field goal range. After a “pooch-punt” to the FSU 4 yard line, the ‘Noles are able to run out the clock, and go to the locker room with no further damage. Here it is: Timmons sack of Wright. Next to Michael Ray Garvin’s game ending interception, arguably the biggest defensive play of the game. Check out Gene’s video take later this week. Depth charts for FSU-Troy will be available for down-loading Wednesday. Free. “Six Pack + 1” radio hi-lights will be available in the “Goodies Store” Tuesday night. Jason Rich scores a career high 22 points, and Alexander Johnson overcomes foul trouble to lead FSU in a come-from- behind win over the Butler Bulldogs. The high-lites run a little over 1:15. Enjoy. This is a free download. Check out Great Moments in FSU Football available for download at gene Gene the Touchdown Machines Goodies Store. One of the biggest wins in FSU basketball history. It ranks right up there with the Noles wins in '72 against Carolina and Kentucky in the NCAA Tournament, and the Noles victory over UNC in our first ever ACC game in 1991. Florida State becomes the only ACC team to beat the Top Ranked Blue Devils in 2006. And for three seniors it will always be a night to remember. Here it is. 2:10 of the exciting high-lites of the "Signature Win" in the Leonard Hamilton era. FSU Beats #1!!!! This is a free download. Enjoy and Go Noles! Florida State demolished Virginia's "zone defense" inside and out. But FSU's biggest weapon was Andrew Wilson's three point bombs. The sixth year senior matched a career high with 7 made "three-balls" and led the Noles to a 76-62 win. Here are :40" of Drew blasting away---3 great calls. Free download. Go Noles! Don't forget the "Goodies Store" is now open. Great stuff! Cheap!! Alexander Johnson ignited a 19-4 run midway through the second half, and FSU sailed to a 73-63 win over the minutemen. This is a free download. Enjoy and Go Noles!! Check out the "Goodies Store" for some really good stuff. FSU trailed the Yellow Jackets by 14 points in the second half, but refused to lose. Alexander Johnson's slam dunk tied the game at 77---and made Sports Center on ESPN. Then sixth year senior Andrew Wilson buried a three point FG with 1:32 to go that won the game 80-79. Enjoy. This is a free download. Check out the "Goodies Store" for m ofre audio high-lites. Go Noles! FSU battled Miami down to the wire and then some. But Robert Hite's 31 points proved to be too much, and with FSU leading scorer Al Thornton ineffective and sidelined with a knee injury, the visiting Canes escaped with an 84-78 ACC win. It felt like "wide right". Why? Check out Gene's take on the game. Great Moments in FSU Football play-by-play clips available in the Goodies Store. Go Noles! 'Tis the Season-FSU's 59th Basketball in Basketball! Highlights from Florida State's 85-67 thumping of Alcorn State on Monday November 21st. Junior Forward Al Thornton had a career high and game best 31 points in the game. He added 10 rebounds to record his 2nd "Double-Double" in as many games. FSU -Florida tips at 7:30 on Friday night and can be heard on the Seminole Radio Network. Depth charts are posted on the web site, just click "Game Day! Gene Gene The Touchdown Machine Goodies Store is now open. Check it out. Two spectacular plays aren't enough in Charlottesville, as Virginia plays flawless on special teams, and gets a whale of a game out of Senior Quarterback Marques Hagans. Lorenzo Booker, Chris Davis, Willie Reid, Kamerion Wimbley and Gary Cismesia produce the games big plays for the Garnet and Gold. Scott Stadium may be just the fifth largest stadium in the ACC, but when Wahoo faithful get decked out in orange and dark blue and start waving their pom-poms, the place can be down right scary. Official capacity is listed at 61,500. Florida State invariably plays at night in this series---ESPN has carried the game ever since that 1995 Cavalier upset of the Noles. Must deliver good numbers! Gene sets the scene for the 10th anniversary of UVA’s stunning upset of the Noles! Depth Charts and Match-Ups for both teams are available free, Just click “Game Day” and download them. This "Scene Setter" can be heard on the FSU Seminole Radio Network. It starts two hours before kick-off at 6:30PM Saturday night. FSU gets big plays in the second half to whip underdog Wake Forest for the 13th straight time since joining the ACC. The biggest play of the game could have been Drew Weatherford's pass to Greg Carr on 3rd and 15 in the fourth quarter. That's this weeks preview call. Listen for free. This weeks Six Pack + One includes Leon Washington's 61 yard catch and run, Fred Rouse making his first career TD, and more. Available for just $2.99. Down load to your desk top, lap top or Ipod. Part of the proceeeds go to FSU Athletics. Depth Charts for the FSU-Virginia game plus Match-Ups are posted and available for downloading FREE. Click "Game Day". Get ready for some football! FSU leads the all time series with the Demon Deacons 20-2-1. The Seminoles are favored by 21 points. But Wake has been a spoiler in the past. Just ask Clemson. Wake upset the Tigers 16-13 last week. Seminole Linebacker A.J. Nicholson is a Winston-Salem NC native. He knows all about the Demon Deacons. He's ready to rumble! Here is this weeks Pre Game Show Scene Setter that will be heard on the Seminole Radio Network at 10:00am Saturday. Depth Charts and Match-Ups for both Wake and FSU are available free. Just Click Game Day. Early in the second quarter, with FSU leading 17-0, Senior Co-Captain Kyler Hall makes an acrobatic interception on an errant throw from Syracuse QB Perry Patterson. It is K-Hall's 2nd interception of the season and his 4th career "oski". FSU goes on to win 38-14. This weeks "Six Pack + One " has TD grabs by Willie Reid, and Chris Davis. TD runs by Drew Weatherford and Lamar Lewis, a field goal by Gary Cismesia, and a spectaucular throw and catch from Xavier Lee to Chris Davis. Go Noles! Available at "Gene Gene the Touchdown Machines Goodies Store" for just 2.99. Download to your I-Pod, Desktop, or Lap Top now. Here are the game high lites heard on the Seminole Radio Network. The seven plays that really counted in FSU's thrilling 10-7 win over 8th Ranked Miami. Of course, we start with the muffed field goal attempt---"Wide Snap I"
Down Load to your PC, LapTop or I-Pod. Collect high lites from all eleven games. Just $2.99 a game. A portion of the price goes to FSU. A.J. Nicholson picks off the first pass of the game and takes it to the house. Then Drew Weatherford finds his favorite target for 6 more. This weeks "6 pack + one" plays of the week available in Gene Gene's The Touchdown Machine's Goodies Store for $2.99. Opening Soon. Coming Soon: You're very own personal telephone answering machine message. That's right. Gene Deckerhoff.com will soon open "Gene, Gene The Touchdown Machine's Goodie's Store". And one of the high light items available will be your very own personalized message. As close as your next down-load.And at a reasonable price. Like it! Order it! Soon! Also coming ---Classic autographed photos from the Super Bowl and National Championship games. And laminated Classic Depth Charts and Match-Up cards from those games as well, all personally autographed by Gene as well! Collector's items for the ages! And a whole lot more, too! Get ready! Gene, Gene The Touchdown Machine's Goodie's Store! Hey. Who Needs Walmart? Florida State needed a win in Gainesville to complete an undefeated season as the Number 1 Team in college football and set up a championship showdown in New Orleans. Just like you would expect, it came down to one last play. More Seminole Classic Calls coming this Spring and Summer. 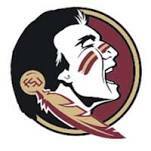 Florida State ended its 58th season in Washington DC, bowing 70-54 to the NC State Wolfpack in the first round of the ACC Championship Tournament . Only senior Anthony Richardson could solve the Wolfpack defense. He scored 16 points. Junior Todd Galloway added 9. FSU finished 12-19. The Seminoles lost 11 of its last twelve games. The 19 losses were the third most in school history. Al Thornton made the most of his first career start for the Noles. He led the team in scoring and rebounding with 20 points and 7 rebounds. Tim Pickett and his Seminole teammates refused to lose, coming from behind in regulation and winning in double overtime 91-84. Pickett led all scorers with 25 points, and tied the game at 71-71 with an incredible 3pFG with :05" left in the second half.